Alienware is one of the best-known brands when it comes to gaming rigs. Now owned by Dell, it specialised in high-end gaming PCs and laptops. Renowned for its industry-leading innovation, Alienware laptops offer award-winning gaming on the go. 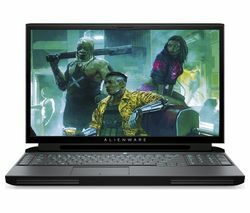 Setting itself the task of delivering PC-level gaming in portable form, the Alienware laptop range has caused a real stir. Offering stunning graphics on massive screens, this is high-performance, portable gaming that runs multiple applications without affecting speed or gameplay. Aesthetically, Alienware laptops really stand out. Slim yet solid, they make full use of customisable LED lighting, not just to the backlit keyboard and trackpad but also illuminated logos and laptop trim. 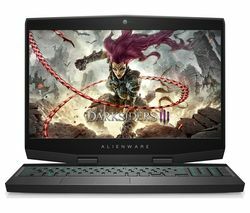 One of the latest additions to the line-up is the Alienware 17 R4, a 17.3in gaming laptop that really packs a punch. With a Quad-HD or Full-HD IPS display, you can choose from a Radeon R9 470 model with 8GB GDDR5 VRAM and 8GB of RAM, or opt for an NVIDIA GeForce GTX graphics card model with either 6GB or 8GB of RAM. Housing 7th generation Intel® Core™ i7 processors, these laptops are lightning fast, enabling you to power the most advanced games, demanding graphics or music editing software. The NVIDIA GeForce GTX 1070 is also VR ready, so you can play immersive games on the latest generation of consoles. 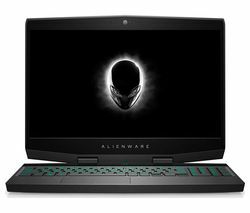 The Alienware 17 laptop is able to power the HTC Vive and Oculus Rift to take your gaming to a whole new level. You can also join the battle at Alienware Arena online for gaming tips, giveaways and a worldwide community of gamers. 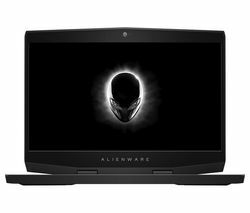 Alienware is just one of the major laptop brands in our computing range. For a wider selection of features and prices, take a look at our full selection that includes ASUS, Dell and HP laptops and the latest Apple Macbook.